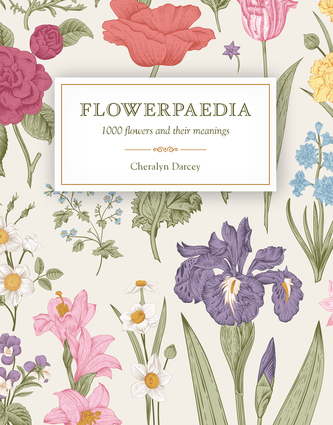 Flowerpaedia is an A–Z reference guide of over 1000 flowers, researched and compiled by botanical explorer Cheralyn Darcey.This comprehensive dictionary includes each flower’s correct botanical name for easy and exact identification.You will delight in understanding what each flower means – emotionally, spiritually and symbolically – and are also able to search by the feeling or emotion you wish to convey or change.Expertly written with easy-to-understand insights, Cheralyn shares how we can work with a myriad of flowers to achieve balance, calm or healing in our lives, homes and gardens.For both the enthusiastic gardener and anyone charmed by the beauty and energy of flowers, this guide to understanding and selecting the right flower for every occasion and meaning will be felt and enjoyed by all. Cheralyn Darcey is an Environmental Artist, Author and Flower Reader who has a lifelong connection with the spiritual and healing properties of plants and through this rekindled the ancient tradition of Flower Reading. A lifelong teacher of creative arts with a focus on environmental arts, she has had a 30 year commitment to also sharing her passion for Nature based traditions with a strong centre of environmentalism.Flower Reading began with an unusually dedicated fascination for botany, plants and gardening as a very young child. In her early 20s she began exploring the Language of Flowers and found it her calling. Since this time she has travelled, researched and explored the cultures and histories from all times and places and the connections we all have with the meanings of plants. Cheralyn enjoys nothing more than reconnecting us with what we already know but have forgotten, the Language of Nature and how we can be guided by it through her art, writing, publications and courses.